The Folsom Lacrosse Association (FLA) is a non-profit organization. Our goal is to provide all interested youth with the opportunity to experience lacrosse in a safe, fun and educational environment, while developing skills in competitive league play. Your donations help us keep our registration fees affordable, contribute to the expansion of our leagues and programs, and assist with the increasing costs of field space, equipment, and coaching. You can print out the form below and mail it to us or use the links to the online donation forms (also found in Online Forms) for the level you wish to donate. Please consider being a Sponsor! Sponsorship money helps to fund needs such as equipment, field rental, training, scholarships, etc. 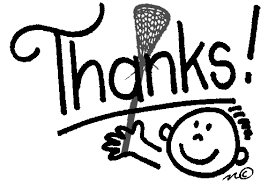 Please make checks payable to Folsom Lacrosse Association (FLA) and mail to P.O. Box 1185, Folsom, CA, 95763. The FLA taxpayer ID is 20-2549353. While we do support our sponsors, we must state that the FLA is not held liable for any offers, statements, or opinions expressed by our sponsors, on or off the website.